How Has the Face of Homelessness Changed Since the Global Financial Crisis? Foreclosures, lay-offs, medical bills, and perpetual unemployment have left millions of Americans particularly vulnerable since the great recession. More than ever, their stories are our stories. With a decline in public assistance, fewer work opportunities, and a diminishing number of affordable housing units available, the face of homelessness has shifted greatly over the last few years: today, 1 in 3 people in the United States are only one or two paychecks away from homelessness. And this year, over 3.5 million Americans will experience homelessness. Including 600,000 last night. And tonight. Many cities make things worse with policies that make it especially difficult for our homeless neighbors to get back on their feet. Roughly ⅓ of cities in the US have bans on camping/sitting/lying in public areas. As one recent example, anti-feeding legislation in Ft. Lauderdale, Florida, resulted in the arrest last month of a 90-year old man who was feeding the homeless. And slow-to-build cities like San Francisco have not kept pace with population booms. Over the last 10 years, 75,000 people have moved to SF, but only 5700 new housing units have been built. So what can we done? Affordable, supportive, safe housing that you or I would want to live in needs to be built. We must demand that our representatives prioritize these units as the right thing to do, not to mention a financial no-brainer. 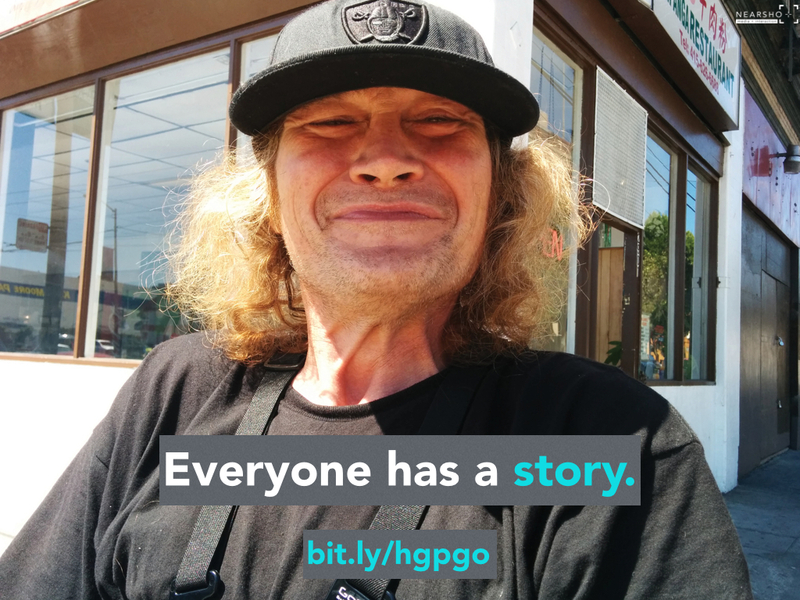 And as good neighbors, we can help the homeless capture and share their stories, giving a face and a voice to an experience that few of us could imagine but far too many of us are on the brink of experiencing. Homeless people may be without housing, but they should not be defined solely by what they lack. I started HomelessPOV to address this issue and in honor of my Uncle Mark, who spent 30 years on and off the streets before he died 10 years ago at the age of 50. 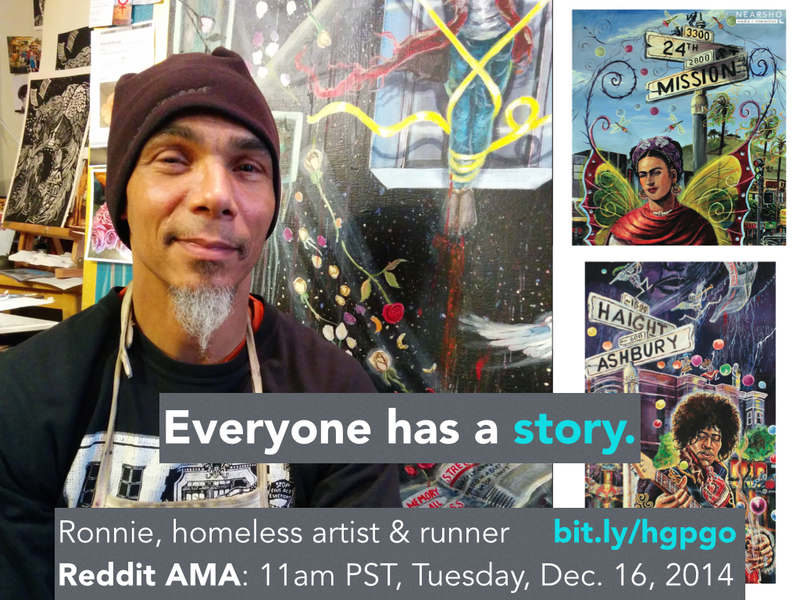 At 11am PST this Tuesday, 12/16, we will be hosting a Reddit AMA with Ronnie Goodman, a homeless artist and marathon runner in San Francisco. Join us with your questions.